Remember when Wendy’s put out a rap single about burgers? 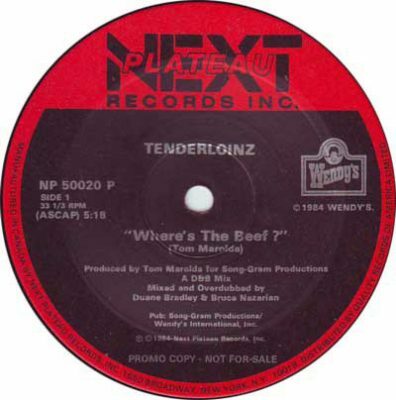 comment "Tenderloinz – Where’s The Beef? (VLS) (1984) (FLAC + 320 kbps)"